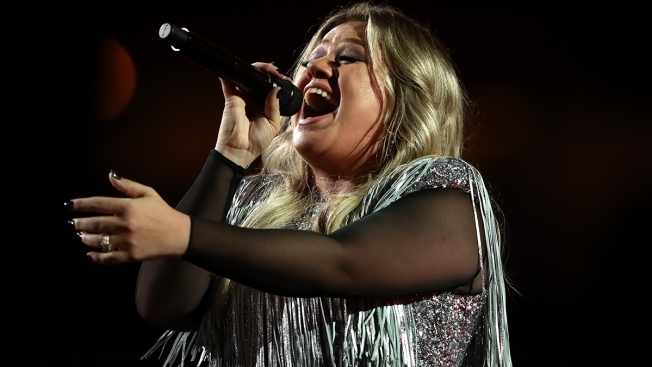 Singer-songwriter Kelly Clarkson performs during the opening night ceremony at Arthur Ashe Stadium on Day One of the 2018 US Open. Kelly Clarkson is sending some love to the mom who was captured lip-syncing on a fan cam while her son dove for cover in his hoodie. Clarkson, who is a coach on NBC's "The Voice, tweeted , "This is my kind of mama." Remmell tells WTTG-TV she just went for it. She says it's wonderful that Clarkson can relate. Remmell's son Blake also is warming up to the attention.